Administrators: can create, configure and publish quizzes and also administer current or new users. Administrators also all have access to the same group of quizzes. Trainers: can create, configure and publish quizzes which ahve been assigned to them or which they have created. 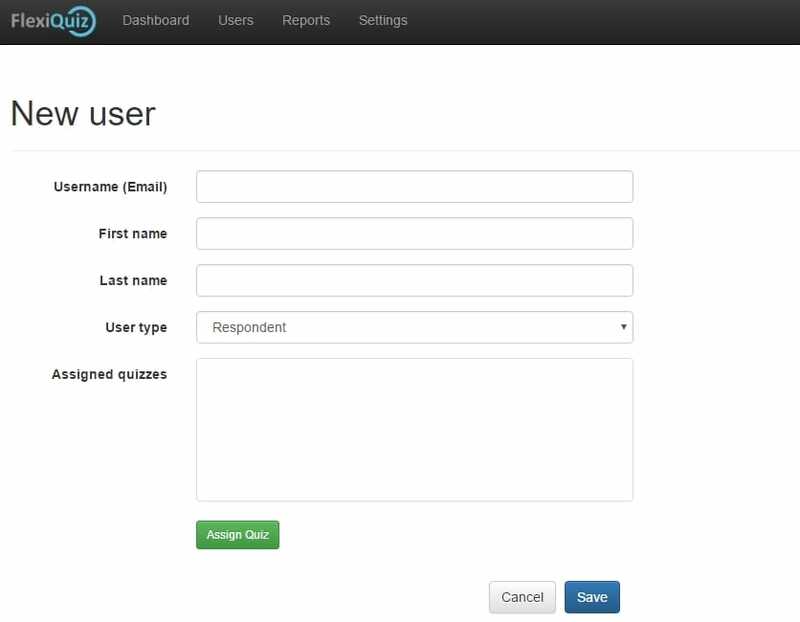 Trainers can also administer current or new Respondent type users. To create a new user click the Create User button. You will be taken to the new users screen where the users details can be entered. 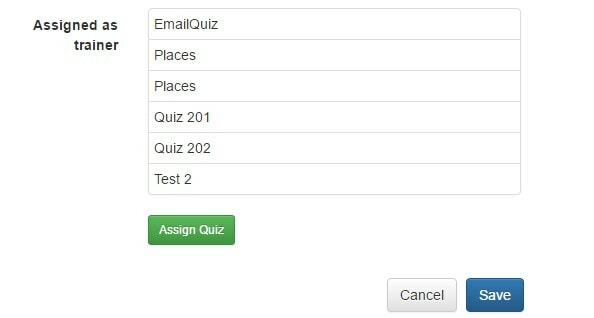 Assign individual quizzes to the user by clicking the Assign Quiz button. From there a popup will be shown which allows for quizzes to be assigned. Administrators can also assign individual quizzes for trainers to administer through the Assign as trainer section of the screen. Once you have finished editing the user details click the Save button to save all changes and assigned quizzes.